Share Tips - Win My Award!!! "Don't Cry for the Horses"
. . ."Committed to building you colorful Champions of the Future One Star At A Time . . ."
Welcome to Rainbow Walkers. 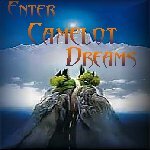 Please be patient, my Website and all its pages takes a while to load, but if you just stay a while, I think you will find it's worth the wait while everything is downloading. You may need to utilize that good old Refresh button. We are named Rainbow Walkers because we've always gravitated towards horses of a different color. We are Susan and Howard Stumpf and have just recently moved to the Rocky Mountains and bought a 52-acre ranch situated in the beautiful Alpine setting of Penrose, Colorado, just outside of Canon City where the world's largest suspension bridge called The Royal Gorge is located. 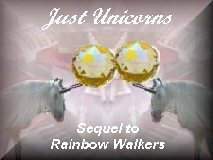 Read more about us and the goals, dreams and objectives of Rainbow Walkers in our Meet Us button link to the left. 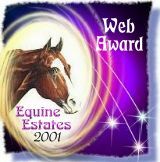 This Web Page is also a Dedication Site not only to our horses, but to all the animals whom we feel blessed to share their lives, including animals we loved deeply that are no longer with us. Each one in their own way has touched us, even if only briefly, and I felt this was one way to eternally memorialize them and share with others what they have meant to us. I hope you enjoy my humble Tribute to some of the best friends I have ever had. (Oh yes, there's a few tributes to some humans, too.) Last but not least, there's a Rainbow Array of great music in the background to listen to as you surf my pages and visit all my animal friends (& some humans) past and present. Again, the pages of this Website are graphic-intensive and may take a while to download due to the abundant use of animated gifs, Java goodies and Applet effects that embellish these memorial pages; depending on the browser you use will also determine emergence of some of the images. So please don't get frustrated and go someplace else. 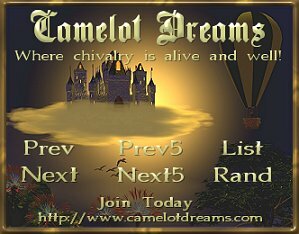 Just click on the respective colorful buttons to link directly to pages to meet everyone. - -> Meet the sensational new Future Premier Stallion of Rainbow Walkers - I promise to get updated pictures of Starz onto the Website. He will most definitely put Starz in your eyes and breeding program. His name is "Starz" (pronounced stars) and he's a rare Smoky Black, who, if bred to the correct colored mares we will be acquiring in the very near future before Starz even comes of age, will throw us the sought after blue-eyed Cremello and Perlino babies that we plan to implement into our stock. We hope you will be excited as we are on this new "color venture." So go meet "Starz" in the Stallion link who will sire the future Cremellos and Perlinos of Rainbow Walkers. Email me for some horsey chat or if you're looking for that special horse to share your life, I can help locate your new trail buddy because I know a lot of people in the industry. Don't forget to check out my Links Page for big Walking Horse Farms that specialize in horses for sale from foals, broodmares, trail horses or show-prospect, depending on the discipline you seek. Don't forget to stop by my Share Tips Section underneath the Contact Us button to the left. This is a great way to share our experiences from birthing pups to imprinting foals or handling problem horses or excessive barking dogs, so please be sure to visit there. 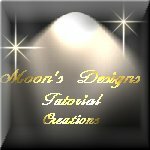 You can even choose the page you want to fall on - take a tour of the Artwork I have already set up and created on pages waiting for your invaluable tips. If you participate, you can win my "Appreciation for Share Tips Award." I'm proud to be a Member of many Web Organizations, so, anyway, go check out my dedication pages for those various Memberships, again, all the buttons on the left link around my Website. Go check out all the neat graphic art I'm learning to create, thanks to these various groups. I think you'll like it. I hope you enjoy your glide-ride through these pages of tribute and I hope, if nothing else, you're left feeling in the end that something (someone) waits for everyone at the end of all Rainbows. For those of you who believe in Unicorns and Pegasus, you need to check out my Unicorn Portal Section. 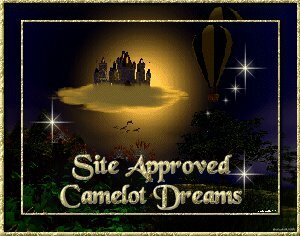 It's by far one of my personal favorites, an ongoing Project, and it got so HUGE that I had to create a separate Website just for it so you will be transported outside of Rainbow Walkers to my Unicorn Website. Don't worry though, you will be able to navigate between both Sites with ease. The buttons will bring you there. For those of you who love Wolves as much as I do, go meet "Kody," a Canadian Tundra Wolf I once owned, plus take a tour of my "Festival of Wolves" section, you will find the button on the left towards the bottom. Enough said. Grab your favorite brew or cafe latte' and let's Java-out!! You're really in for some eye candy. Please don't forget to sign my Guest Book at least to let me know you visited. Rainbow Walkers Motto: "White Horses" aren't just a passion with us - they're a state-of-mind." Many thanks to Pleasure Gait Farms for use of some of their Horse Graphics on this WebSite. 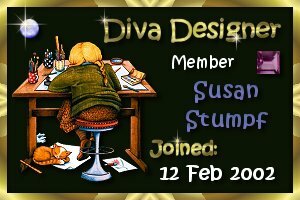 All contents, poetry, photographs and 95% of graphics on this Website were created by and/or belong to Susan Stumpf of Rainbow Walkers and therefore fall under Copyright Law. 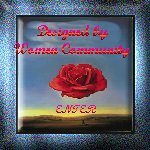 Any reproduction of contents, poetry, graphics or photographs on this Website for personal, public, or commercial use is strictly prohibited without prior written permission from Rainbow Walkers.